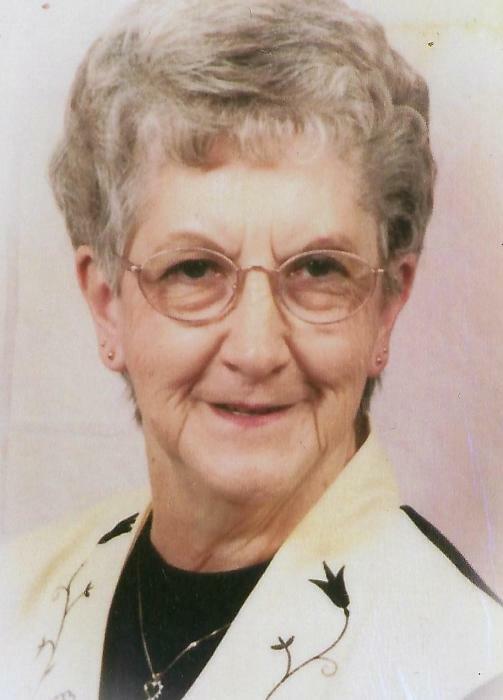 Martha L. Stambaugh, age 83, of Marion passed away Friday, January 25, 2019 in her home surrounded by her family. Martha was born on October 12, 1935 in Wabash, Indiana the daughter of the late Roy and Edith (Rausch) Crist. She married Joseph Stambaugh on March 21, 1953, and he survives. Martha worked at Marion Community Schools until her retirement. She was very artistic and enjoyed doing crafts. She was an avid bowler and her picture was in the Grant County Bowling Hall of Fame at Crest Lanes in Marion. Martha also enjoyed gardening and was an excellent cook. She was a member of the Temple Baptist Church. Martha is survived by her husband, Joseph Stambaugh of Marion; children, Joseph Earl (Lou) Stambaugh, Jr., Robert Fredrick Stambaugh, Daniel Ray (Carla) Stambaugh, Katherine Jane (Guy Tarlton) Stambaugh and Constance Kay (Gene) York, all of Marion; sisters, Phyllis Pasley, Shirley Stambaugh and Doris Spurgeon, all of Peru; 12 grandchildren, 23 great-grandchildren, and 6 great-great grandchildren. She was also preceded in death by two brothers, Richard and Harvey Crist. Friends and family may call from 9:00 to 11:00 a.m. on Tuesday, January 29, 2019 at Raven-Choate Funeral Home, 1202 W. Kem Road, Marion, Indiana. Funeral Services will follow at 11:00 a.m. with Reverend Andrew Morrell officiating. Burial will take place immediately following funeral services in Grant Memorial Park Cemetery, Marion, Indiana.